Top quality cheese varieties and olives, as well as freshly baked hand-rolled pastries, apple tarts, organic bread and biscuits of our own, are indispensable for breakfast. 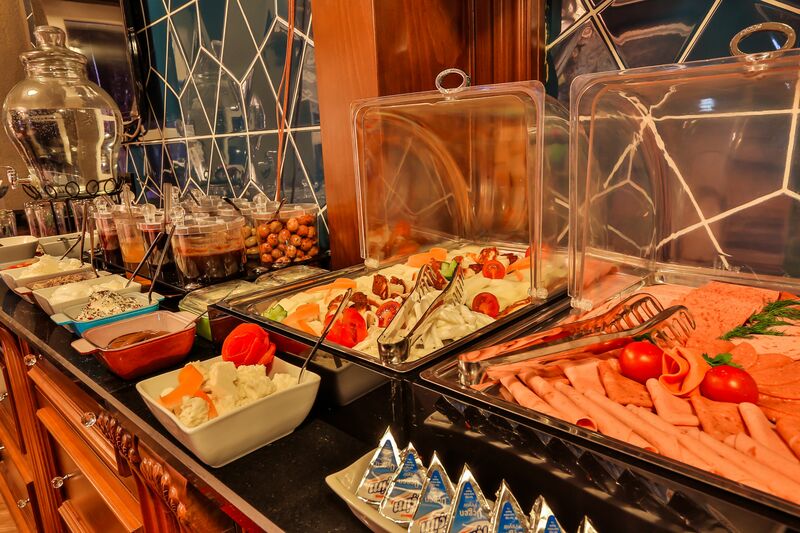 Homemade carrot tarator, shepherd’s salad, hummus are also served in the open buffet breakfast. Freshly sausage with tomato sauce and scrambled egg are served as hot. Also according to the guest’s request, the omelette with sausage, cheese or mushroom or fried egg is included in the breakfast. A freshly baked dessert such as a wet cocoa cake. Or baklava is going to be the final of your breakfast in Cihangir Faik Pasha Cafe.